Blue Buffalo Pet Food Recall History – Has Blue Buffalo Been Recalled? ⚠ Important Blue Buffalo recall information appears below. Blue Buffalo was founded in 2002 by Bill Bishop. 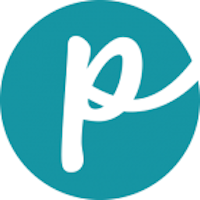 The company proudly advertises its natural approach to premium dog and cat food and products. The company was named after Bishop’s Airedale Terrier, Blue. Blue Buffalo produces dry and canned cat and dog food, treats for cats and dogs, and a natural cat litter. Company: Blue Buffalo Company, Ltd.
Has Blue Buffalo Ever Been Recalled? Yes, there have been a number of Blue Buffalo recalls over the past decade. However, before we detail those recalls, we also want to point out that despite rumors, there has been no “Blue Buffalo lead recall.” A lawsuit filed in June 2017 claims that 3 Blue Buffalo dog foods (Blue Wilderness Chicken Recipe for Small Breed Adult Dogs, Blue Freedom Grain-Free Chicken Recipe for Small Breed Adult Dogs, and Blue Basics Grain-Free Turkey & Potato Recipe for Adult Dogs) contained very high levels of lead, but those allegations have not been proved, and there has been no recall because of lead. Now let’s talk about what has been recalled in the past. Most recently, in March 2017, Blue Buffalo recalled a brand of canned dog food because of potentially excessive levels of beef thyroid hormone (a Wellness brand of canned dog food was also recalled for the same reason). A month earlier, in February 2017, Blue Buffalo recalled some cans of its Homestyle Recipe dog food because of possible metal (aluminum) contamination. Also in February 2017, the company recalled wet dog food cups because of a packaging problem. In 2016, moisture problems and the possibility of mold prompted a limited recall of some Blue Buffalo sweet potato–flavored dog food. In fall 2015, there was a Blue Buffalo recall on a single lot of some chew bones. The cause was listed as potential salmonella contamination. Less than 3 weeks earlier, a limited number of Blue Kitty Yums cat treats were pulled from shelves following reports of propylene glycol, which is unacceptable in cat treats under FDA guidelines. In 2010, Blue Buffalo voluntarily recalled a few products because of a “sequencing error” made by an ingredient supplier. The supplier had conducted a previous processing of Vitamin D in which some carryover may have contaminated the products. Finally, in 2007, the FDA confirmed the presence of melamine in rice protein concentrate in food manufactured by American Nutrition, Inc. for Blue Buffalo. Blue Buffalo denied knowledge or consent of the additive being in the product. As a result of the recall, Blue Buffalo pulled all of its manufacturing from American Nutrition, Inc., even including products not listed in the recall. Next, we list the full details of every single Blue Buffalo pet food recall over the years. Cause: Potential for elevated levels of naturally occurring beef thyroid hormone. Announcement: NASDAQ Global News Wire report dated March 17, 2017. What was recalled: Wilderness Rocky Mountain Recipe Red Meat Dinner Wet Food for Adult Dogs, 12.5 oz. can, UPC #840243101153, best by June 7, 2019. Cause: Potential for metal contamination (aluminum). Announcement: Company announcement dated Feb. 13, 2017. What was recalled: Blue Buffalo Homestyle Recipe Healthy Weight, Chicken Dinner With Garden Vegetables, 12.5 oz. can, UPC #8-40243-10017-0, best by Aug. 3, 2019. Cause: Possible mold. Announcement: News report dated May 31, 2016. What was recalled: 30 lb. bags of Blue Buffalo Life Protection Formula Fish and Sweet Potato Recipe dog food, best by April 11, 2017. Cause: Potential for salmonella. Announcement: Company press release (via FDA) dated Nov. 25, 2015. What was recalled: One lot of Cub Size Wilderness Wild Chews Bones, best by Nov. 4, 2017. Cause: May contain low levels of propylene glycol. Announcement: Company news release dated Nov. 6, 2015 (via FDA). What was recalled: 2 oz. pouches of Blue Kitty Yums Tasty Chicken Recipe cat treats, best by either April 24 or July 24, 2016. Cause: Potentially too much Vitamin D. Announcement: FDA report dated Oct. 8, 2010. What was recalled: Certain packages of Blue Wilderness Chicken Flavor dry dog food, Blue Basics Limited Ingredient Formula Salmon and Potato Recipe dry dog food, and Blue Life Protection Formula Natural Chicken & Brown Rice Recipe Large Breed Adult dog food. Cause: Melamine. Announcement: FDA reports dated April 19, 2007 and April 27, 2007. 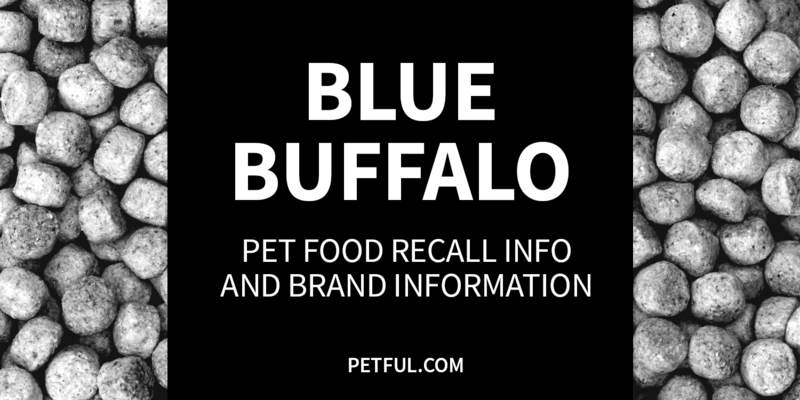 What was recalled: All cans of Blue Buffalo BLUE dog food, all cans of Blue Buffalo BLUE Spa Select cat food, all Blue Buffalo BLUE dog treats, and Blue Buffalo Spa Select Kitten dry food. Have You Had a Problem With Blue Buffalo?